United Way Worldwide is formerly known as an organization that focused on raising money for good causes. Now, United Ways focus on impacting communities by leading the fight for the health, education, and financial stability of every person in our community. How? Community stakeholders are engaged in collective impact strategies to address the most pressing issues identified at the local level. 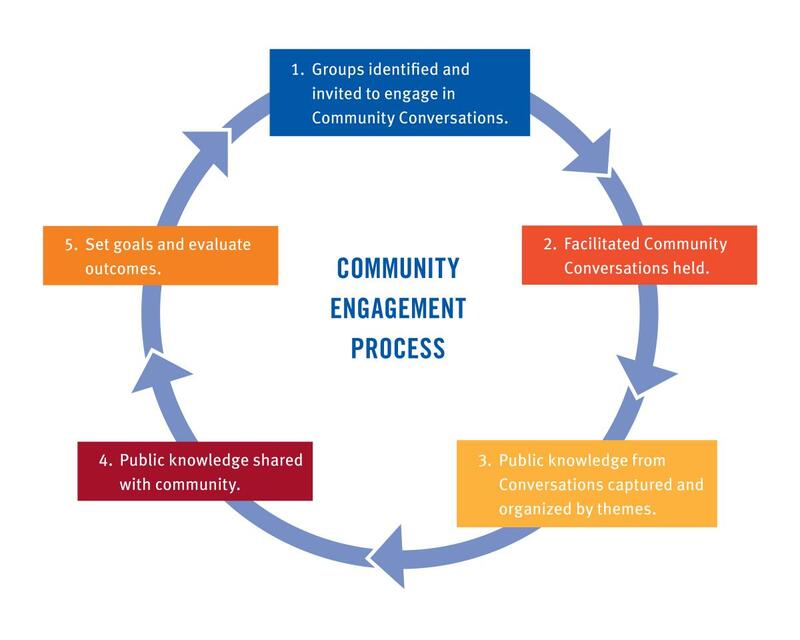 United Way of Story County (UWSC) has embraced this model by meeting with groups throughout the county to gain public knowledge to determine the most important concerns of residents. To begin to understand the scope and dimension of challenges facing Story County, UWSC turned outward to ask members of the community to share their aspirations. The desired result from hosting community conversations is to develop a measureable goal within each area of health, education, and financial stability in order to proceed with a shared vision in creating the biggest possible impact on the future of our county. In March and April 2015, UWSC met with 11 groups (124 individuals) representing a broad range of demographic characteristics in Story County: staff and clients of our partner agencies, young professionals, ISU students, seniors, members of the business community, members of the faith community and educators. Geographically, the individuals represented the communities of Ames, Huxley, Maxwell, Nevada, Slater and Story City. These groups were asked for their input through a series of questions: what would make Story County a better place to live, the most important concerns they have for the community, what prevents progress on these concerns, what could be done to make a difference and who they trust to take action on these concerns. By engaging the community, UWSC gained valuable public knowledge that will inform our work moving forward. Additionally, we will share this knowledge broadly with key leaders and decision makers to take collective action and affect change in Story County. The themes that emerged will help inform how we engage current partners and the community, identify new partners, develop strategies and mobilize resources. The overall theme about health is that more mental health services are needed. There is a shortage of providers based on the amount of need. Upon analyzing the concerns in the areas of health and financial stability, root causes for the concerns were sought out. To address future learning and behavior that can negatively be influenced by adverse childhood experiences (ACEs) and to address future financial stability through employment, focusing on early childhood education is a solution. The overall themes about financial stability were housing and transportation. – The type of housing that is desired is not available. This cuts across all income levels, including low-income, young professionals, and seniors. – Transportation options in the county aren’t as spontaneous as is desired. The types of rides that are wanted aren’t available. Other community concerns shared include leadership, lack of community feeling, university, volunteerism, diversity, culture and why young professionals don’t stay in Story County. If you have questions about this project, email UWSC Community Impact Director Sara Zejnic. Download a printable copy of the above.